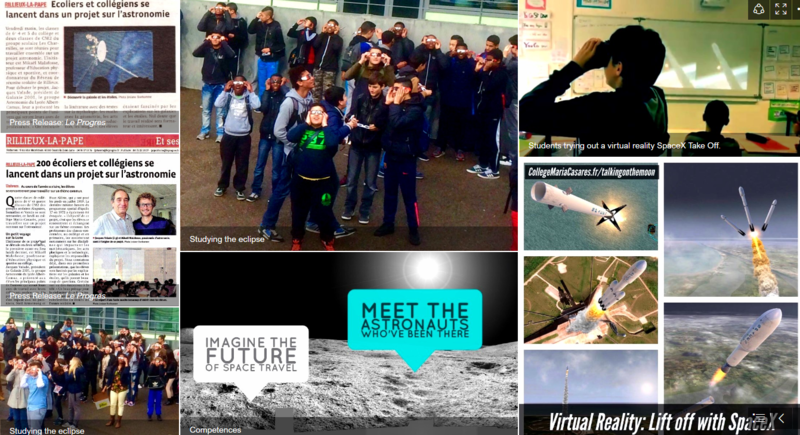 This project is designed to enable students at the College Maria Casares (France) to build on their English language skills by studying the history and future of the moon landings and space travel. 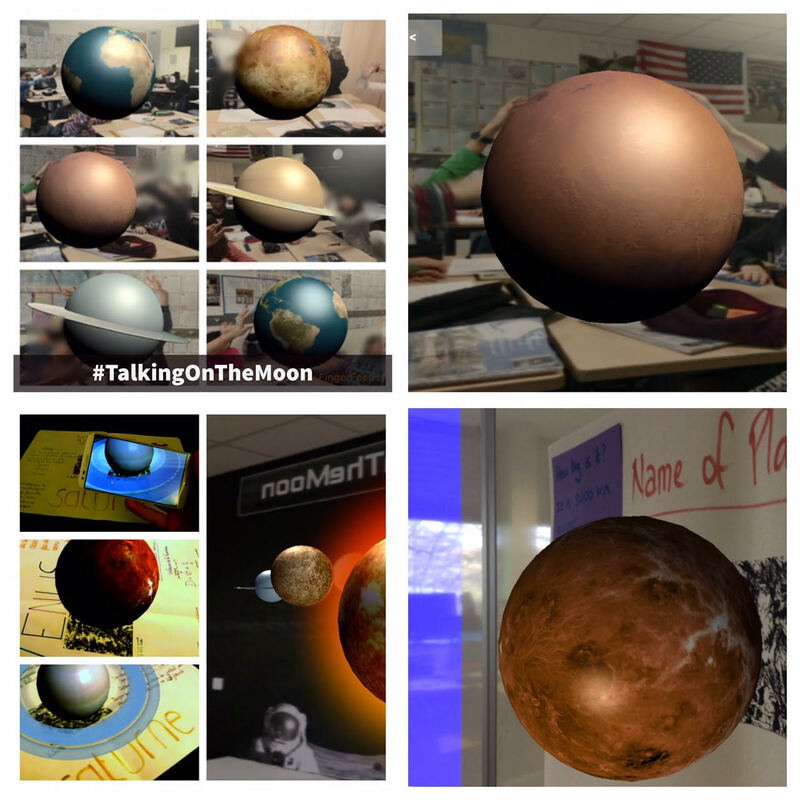 Use the mouse to look around the objectives in this virtual reality moonscape. Students and their teacher are adding ideas, sources and examples of work to this mind-map as the project develops. 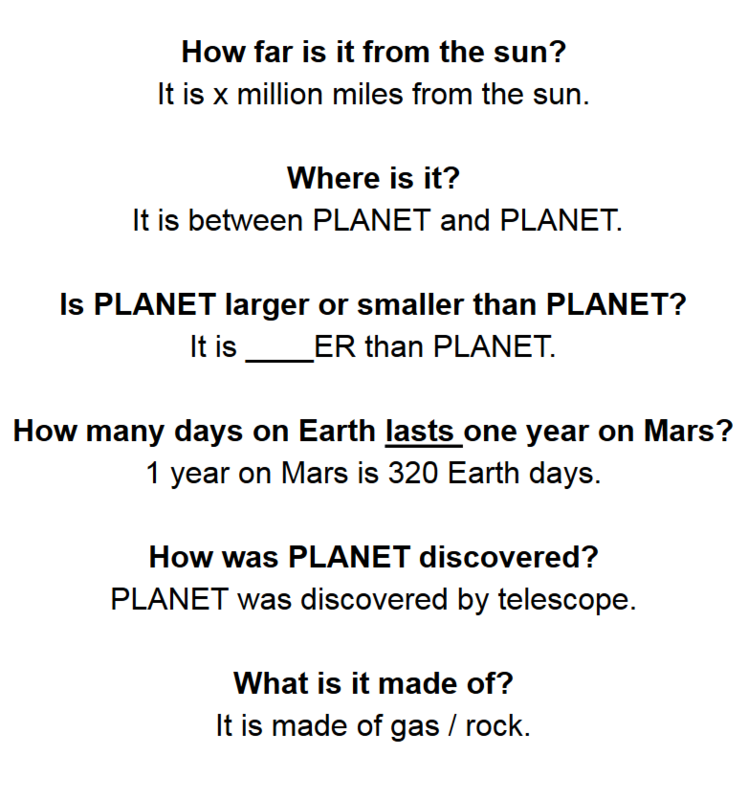 This worksheet was completed by students in order to help them build essential vocabulary for speaking about and comparing planets. 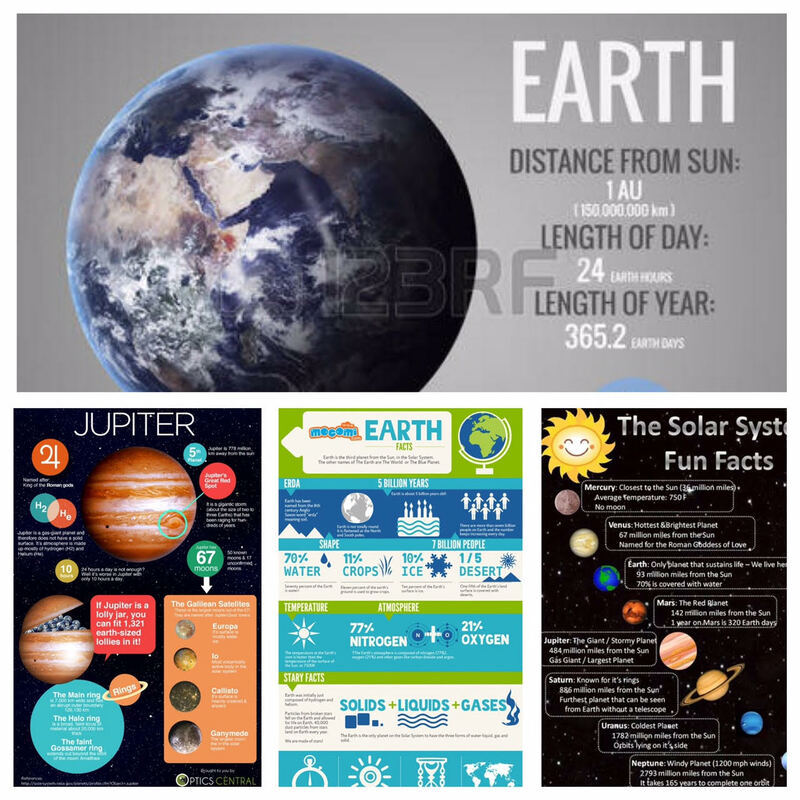 Students are working on posters about each planet. Each poster includes a bar-code that allows a smartphone application to add 3D models of each planet to their poster. 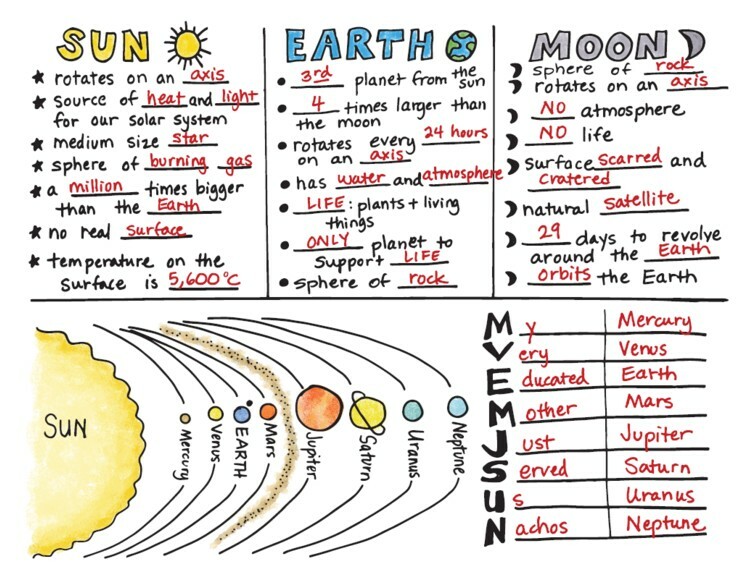 This fantastic video helped pupils build a very real understanding of the sizes of planets and the real distances between them. The visual aids (a pea, a grain of salt, a grape) will be stuck on each poster to help us remember relative sizes. 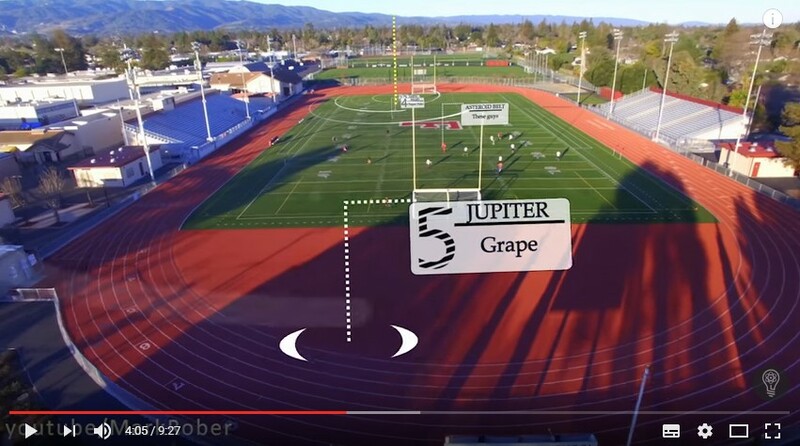 This video allowed us to work on comparatives, measurements and the third person singular. 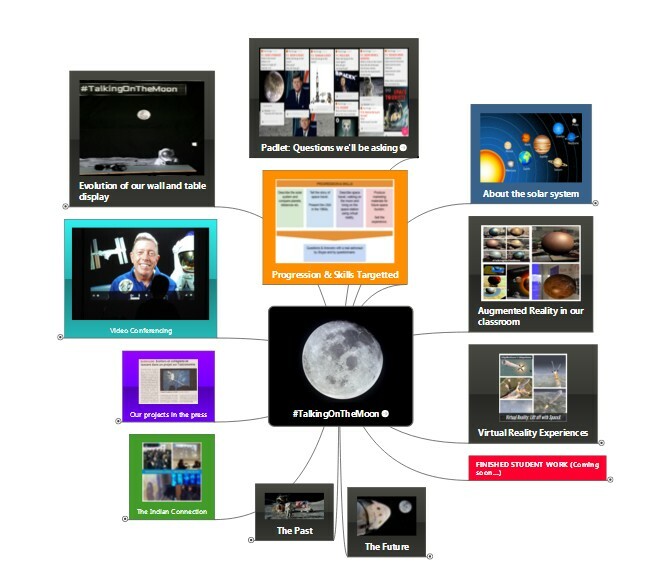 Various online resources are suggested for understanding life on the moon as well as virtual reality apps that allow students to walk around the moon’s surface. 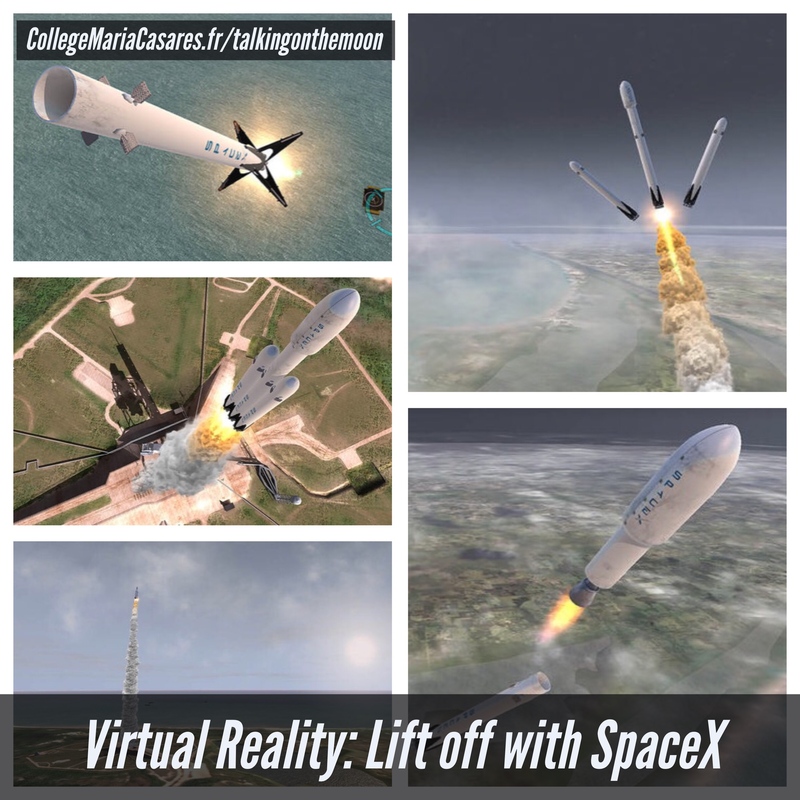 Using the Liftoff VR application from SpaceX, students experience a ride on a SpaceX rocket as it blasts through the atmosphere. We also have applications for walking on the moon and flying around the solar system in Virtual Reality. For team play, we use this Team-Picker for the six teams. 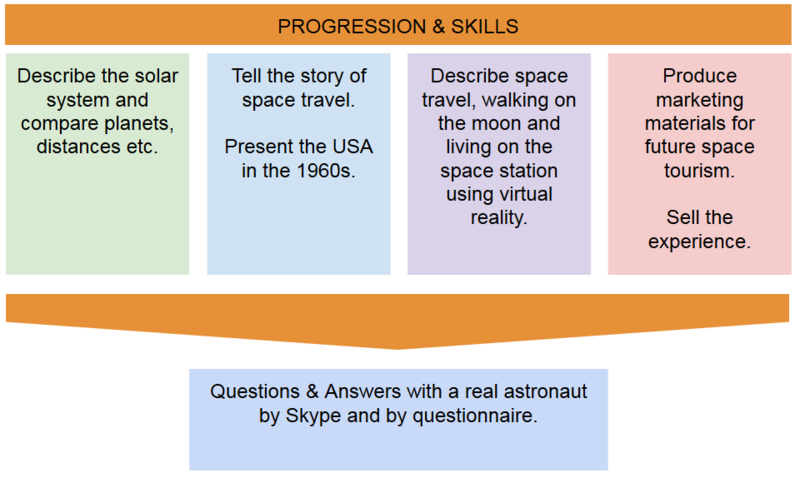 Skyping an astronaut: What questions would you ask?